Bognor to Brisbane Bicycle tour, what started off as a charity ride to Australia in aid of Cancer research ended up on a world tour! Garry’s original plan was to cycle to Australia and visit his family and in the process try and raise some much-needed money for cancer research. 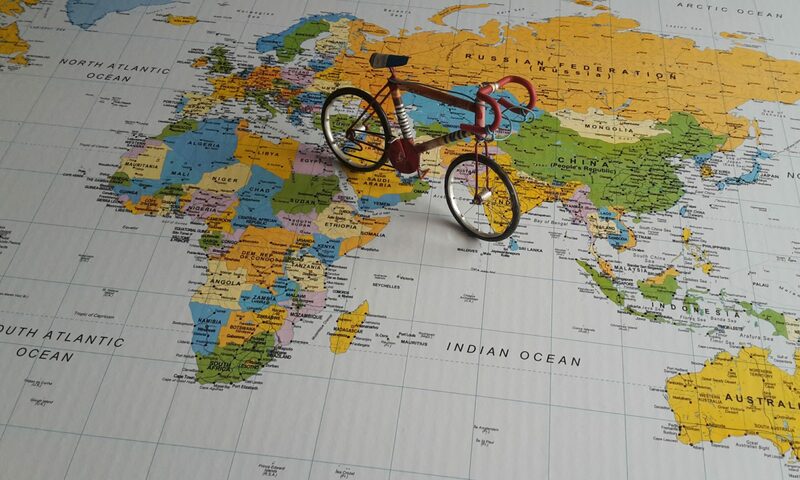 His route was to take him through France, Luxembourg, Germany, Austria, Hungary, Croatia, Serbia, Bulgaria, Turkey, Iran, Pakistan, India, China, Lao, Thailand, Malaysia, Singapore, Indonesia and then finally cycle across Australia to Brisbane. Unfortunately, when Garry was halfway across Turkey, the British Embassy in Iran was invaded! And the British foreign office advised against all travel to Iran! Unable to find another route Garry decided to miss out Iran and Pakistan and instead flew to India where he would continue his journey. After crossing India and Bangladesh, Garry then flew to Kunming in China, once more because of political reasons, although this one had been planned right from the start. Once in China Garry’s journey took him down through Lao, Thailand, Malaysia, Singapore, Indonesia and onto Bali. After reaching Bali Garry then caught another flight to Perth in Australia. To begin his final leg across Australia to his finish in Brisbane. After spending a few weeks at his final destination of Brisbane Garry decided that he couldn’t just fly home, he thought he would cycle home! So he booked a flight to San Francisco where he would then cycle across the United States! After five weeks Garry had nearly crossed America, and was now thinking of turning this into an around the world cycle ride! But after missing out Iran and Pakistan, he couldn’t say that he had cycled around the world! Things took a turn for the worse when Garry got knocked off his bike 23 miles from the finish in New York! But luckily Garry wasn’t too badly hurt and managed to finish his ride into New York the following day! Due to Garry’s accident, he decided to return home to England to recuperate. After a few weeks at home, Garry felt fit enough to continue on his world tour! So he booked a flight back to Turkey where he resumed his ride around the world! At the end of July Garry left Istanbul and cycled to Georgia where he then continued on and through Azerbaijan, Kazakhstan and finally into China and his final destination Beijing! After twelve months and 22,000 miles, Garry could now say that he had indeed cycled around the world! And in the process raised over £13,000 for cancer research charities!